Download "ANNE ARUNDEL MEDICAL CENTER CRITICAL CARE MEDICATION MANUAL DEPARTMENT OF NURSING AND PHARMACY. 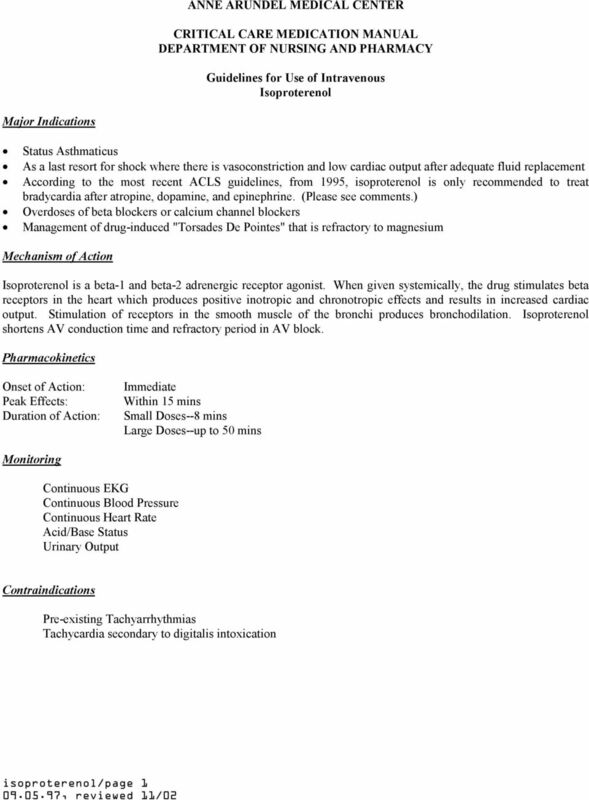 Guidelines for Use of Intravenous Isoproterenol"
ACLS PHARMACOLOGY 2011 Guidelines ADENOSINE Narrow complex tachycardias or wide complex tachycardias that may be supraventricular in nature. It is effective in treating 90% of the reentry arrhythmias. !!! 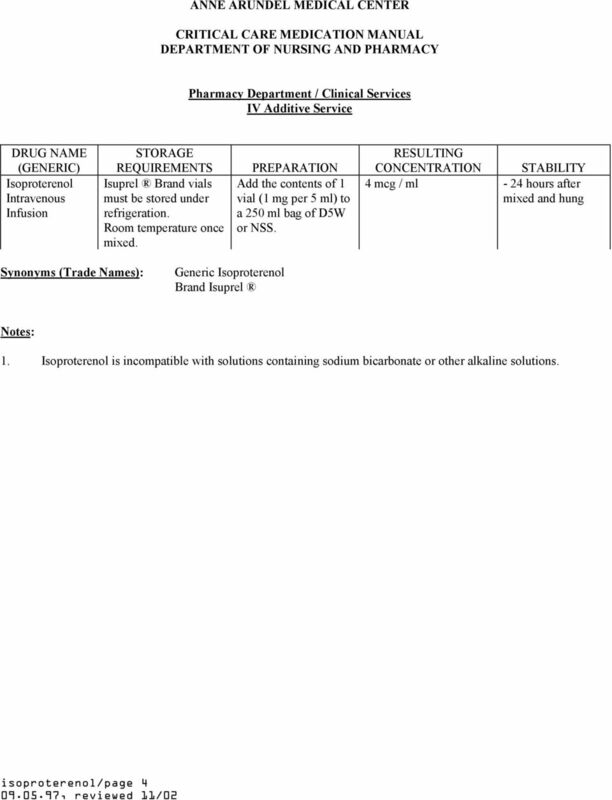 BOLUS DOSE IV. Use 5-10 mcg IV boluses STD ADRENALINE INFUSION. Use IM adrenaline in advance of IV dosing! MEDICATIONS USED IN ADULT CODE BLUE EMERGENCIES. 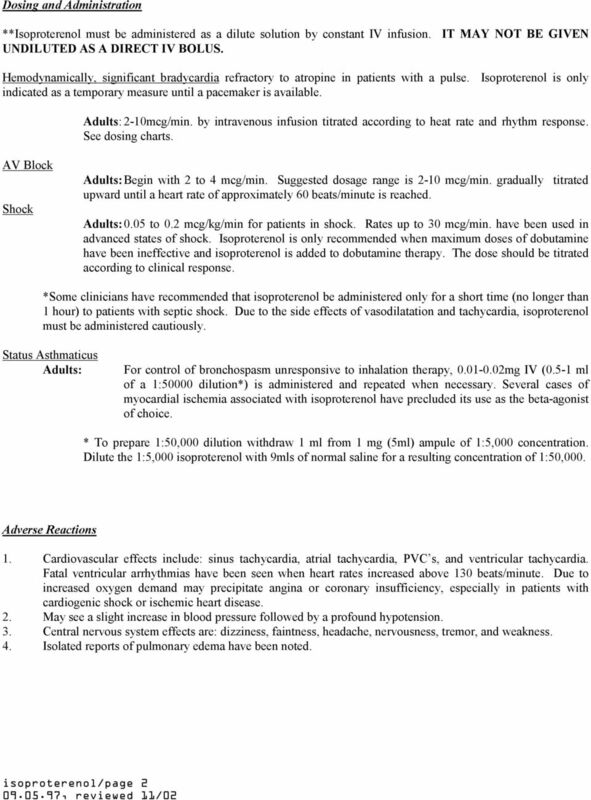 Source: ACLS Provider Manual. American Heart Association. 2001, 2002. Updated 2003. Arrest. What s a Nurse to do? 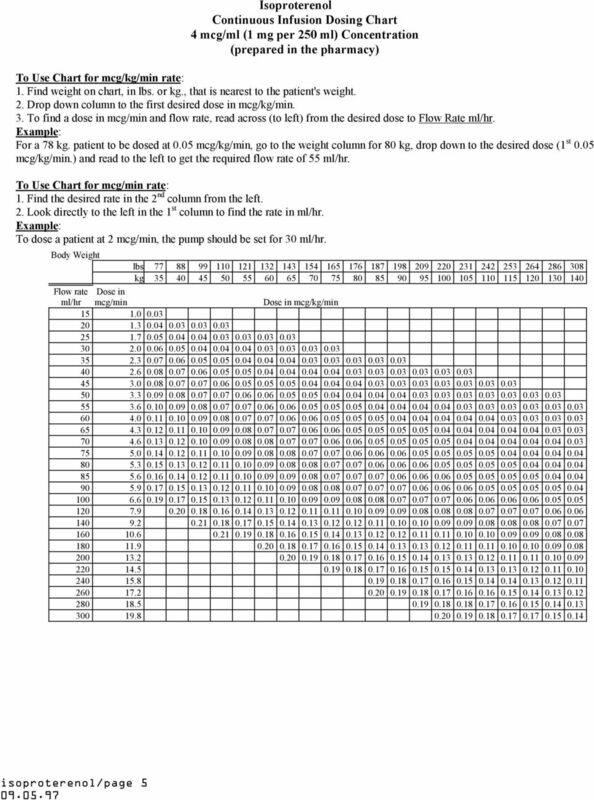 If you do not wish to print the entire pre-test you may print Page 2 only to write your answers, score your test, and turn in to your instructor. Double pumping of intravenous vasoactive drugs in the critical care setting. LESSON ASSIGNMENT. 7-4. 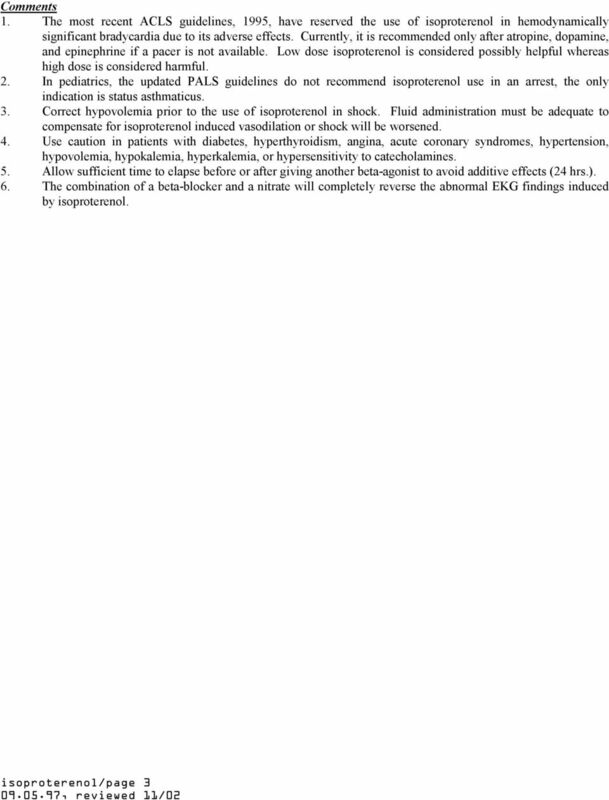 Given a group of statements, select the best definition of the term adrenergic (sympathomimetic) drug. Adrenergic agonists:- A.) Catecholamines They are called catecholamines because they contain a catechol group, they are water-soluble and are 50% bound to plasma proteins, so they circulate in the bloodstream. The patient s response to therapy within the first hour in the Emergency Room is one of the most reliable ways to predict need for hospitalization. Normal Sinus Rhythm. Sinus Bradycardia. Sinus Tachycardia. Rhythm ECG Characteristics Example (NSR) & consistent. & consistent. Intravenous Infusions 1 Intravenous Infusions This course will cover different types of common intravenous medication infusions including insulin, heparin, vasopressors, vasodilators, and anti-arrhythmics. STAGES OF SHOCK. IRREVERSIBLE SHOCK Heart deteriorates until it can no longer pump and death occurs. Bradycardia. R. Ian RossFrye, M.D. New resuscitation science and American Heart Association treatment guidelines were released October 28, 2010! Protocol in depth Asthma/COPD daniel.dunham@clemc.us Asthma/COPD Narrowing of airways (an H4 histamine response causing inflammation and mucous production), leading to wheezing on inspiration and exhalation. Update on Small Animal Cardiopulmonary Resuscitation (CPR)- is anything new?